When Siri launched way back when, we all got super excited about the possibilities of talking to our phones and having them go off and find the information we need. Then we got our hands on it and realized that perhaps it wasn’t all we had hoped. That’s why when Google brought Google Now and Google Voice Search to iOS, we all got excited once more. As anyone who’s used Google Voice Search in the past will attest, it’s super accurate at taking spoken words and turning them into text. Much better than, say, Siri! But there’s one problem with using Voice Search all the time via, say, a jailbreak tweak like NowNow – a tweak that lets users activate Google Voice Search in the same way they would Siri – and that’s that it can’t handle things like setting reminders. You need Siri for that, which brings us back to square one. You either put up with Siri, put up with no reminders etc., or handle two apps. That’s where a new jailbreak tweak called Googiri comes in. 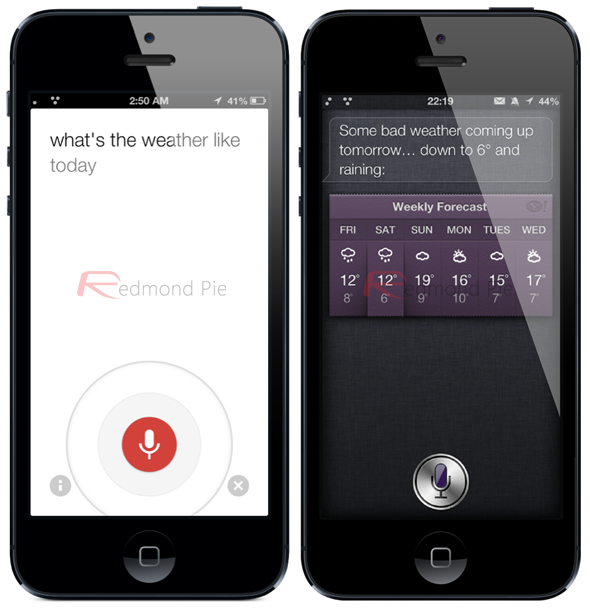 Available for free on Cydia, Googiri takes voice commands, routes them through Google’s Voice Search system and then decides what to do with the output based on the way the question or command was posed. Want an example? Well, saying "Google for bread recipes" will obviously set a search in motion via Google. Saying something along the lines of "Siri, what will the weather be tomorrow" has the request going to Siri, but only after Google Voice Search has done the voice-to-text heavy lifting first. The result is much more accurate transcription than Apple’s Siri ever manages, and you can still get the best of both Siri and Google Voice Search without having to fight with two different apps by using Google’s Search app for everything. Awesome. Combine this with the aforementioned NowNow, and you can have Google Voice Search be opened instead of Siri, completing the picture perfectly. If you like the idea of Siri but find that it just doesn’t work well enough, this may be a great way of using Google’s magic to feed the data to Siri instead. Give it a try, you might just like it!